On April 7th, we had the wonderful opportunity to collaborate with UC San Diego’s School of Global Policy and Strategy. 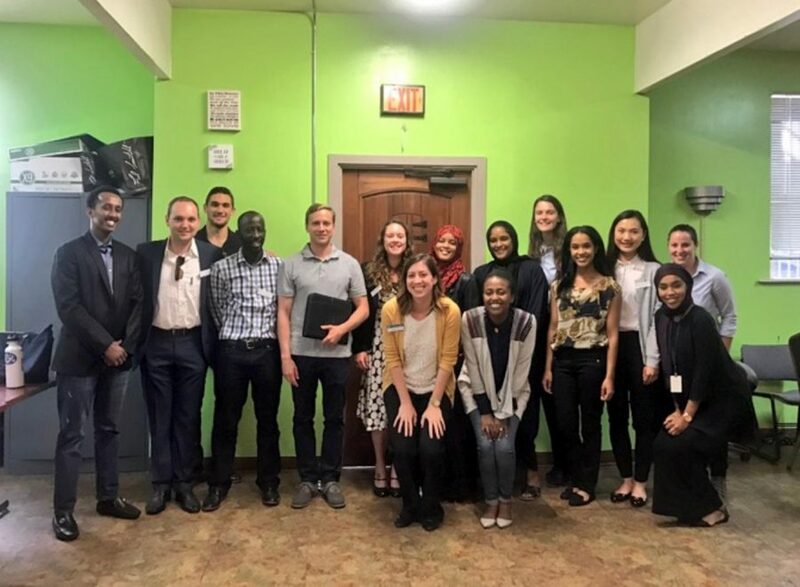 Nine graduate students in the Master of International Affairs and Master of Public Policy program visited us at the East African Cultural Center in City Heights. In Partnership with the United Women of East Africa Support Team, we showcased our best practices and overall mission of the new Refugee Health Unit at UC San Diego Center for Community Health. Highlighting the Dunya Women’s Health Collaborative and Making Connections for Mental Health and Well-being, students asked us questions about the success and challenges implementing program interventions in our community and how the reception has been like so far. These accomplished graduate students specialize in survey design, policy, evaluation, and data collection.The East African Culture Center even provided the students with sambusas and tea which they enjoyed. We are excited about this new partnership and look forward to seeing what will come from our collaboration!